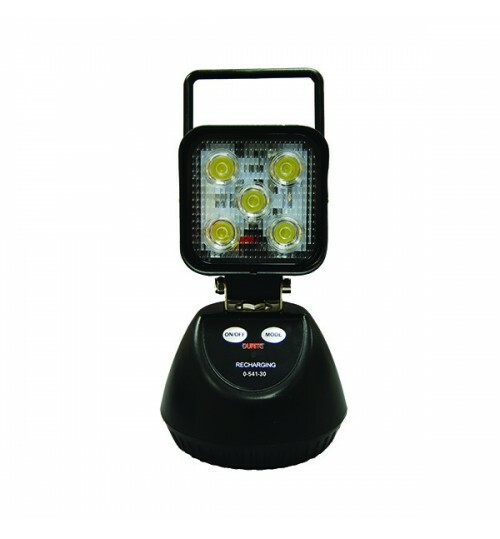 LED Rechargeable Li-ion Work light comes with handle and powerful magnetic base. 5V 2.1A USB port for external charging of cell phone etc. 1150 Lumens with 3 alternative light modes, full, lower and SOS. Supplied with UK 230v charger and 12v cigarette plug charger.